Do you often deal with anxiety? Are you consumed with worry? You can learn to manage these emotions by understanding what the Bible says about them. the keys in God's Word to overcoming your struggles with anxiety and worry. While we can never be completely free from worry, the Bible shows us how to minimize worry and anxiety in our lives. 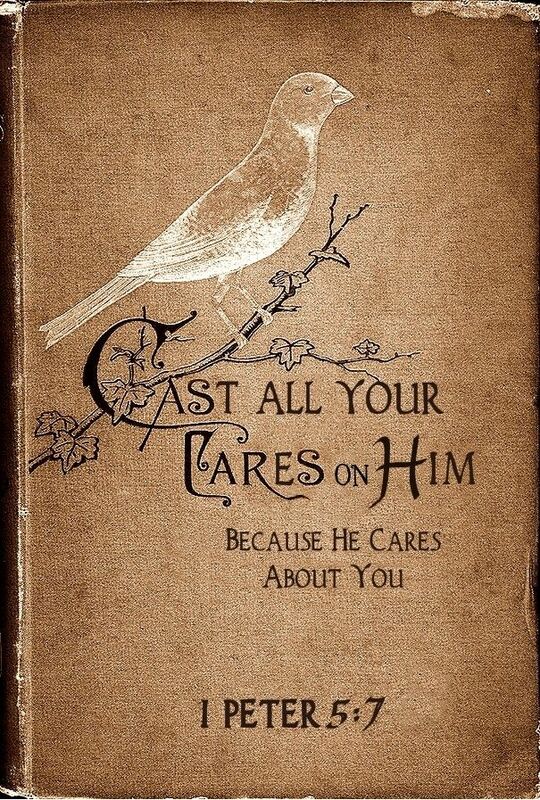 Philippians 4:6-7 says do not worry about anything, but with prayer and supplication with thanksgiving make your requests known to God and then the peace of God will guard your hearts and minds in Christ Jesus. To read more on this subject, visit About.com/Christianity. So glad I came over to read your devotional for today. The last lesson about Mary applies to me. Often I am so caught up with cleaning the house, fixing food, etc. that I forget the happiness of fellowship - being with friends and family. I do the same thing! I will run myself ragged but I've been trying to ease up a lot and just enjoy family and friends! I just found your blog and really enjoyed it. This particular devotional is a topic that I have heard many times but never in a way that reached me the way this one did. What a help. Thank you for sharing your faith in such a wonderful way. I'm so glad that it helped you. If I am only to help me person with these posts, I feel blessed! Thanks for stopping by! Have a blessed week!